‘Harold Eugene Fletcher, 43, owner of the East Main Street Pharmacy in Columbus, was sentenced in U.S. District Court to 24 months in prison for illegally distributing the painkiller oxycodone, structuring financial transactions to avoid reporting requirements, and filing false income tax returns for five years. Carter M. Stewart, United States Attorney for the Southern District of Ohio, Robert L. Corso, Special Agent in Charge, U.S. Drug Enforcement Administration (DEA), and Darryl Williams, Special Agent in Charge, Internal Revenue Service (IRS), announced the sentence handed down today by U.S. District Judge Algenon L. Marbley. Fletcher was also sentenced to spend five years under court supervision after he completes his prison term. He will spend the first year of supervised release on home confinement and perform 208 hours of community service during the second year. The sentence includes a $75,000 fine and restitution of $275,000 to the IRS. He is also required to cooperate with the IRS to file any corrected income tax returns for 2005 through 2009. His sentence includes a lifetime ban on practicing as a pharmacist or having any connection with a pharmacy or the distribution of drugs. Fletcher owned and operated the East Main Street Pharmacy at 1336 East Main Street in Columbus. He pleaded guilty on January 11, 2011. Fletcher is the first pharmacist convicted and sentenced to prison in the Southern District of Ohio for the illegal distribution of drugs. According to a statement of facts read during the plea hearing, Fletcher distributed oxycodone outside the usual course of professional practice and without any legitimate medical purpose in February 2006. Fletcher also structured bank deposits of more than $100,000 by breaking the cash amounts into deposits of less than $10,000 each in an attempt to evade federal reporting requirements regarding cash deposits. Fletcher also admitted to filing false federal income tax returns for five years. For more information about the United States Attorney’s Office, Southern District of Ohio, see http://www.justice.gov/usao/ohs/. For information about the BWC Special Investigations Department be sure to read our SID FY 2011 Annual Report. If you suspect anyone is committing workers’ compensation fraud in Ohio, let us know. You may report it online at http://bit.ly/reportfraud or you may speak with a fraud hotline agent by calling 1-800-OHIOBWC. Two Geauga County men have been sentenced after they were convicted of fraud for working while collecting workers’ compensation benefits. Kenneth McElroy was self-employed performing equipment repair and snow plowing services and owes $80,000 to the Ohio Bureau of Workers’ Compensation (BWC). William Hill was discovered operating his own business, Hill’s Contracting Company, and must repay more than $133,000. BWC’s Special Investigations Division (SID) opened an investigation into Kenneth McElroy after learning he was self-employed snow plowing and repairing lawn mower/landscape and construction equipment while receiving temporary total disability benefits. SID conducted numerous interviews confirming that the Chardon man was performing these services at his home and at customer’s residences. The Ohio Industrial Commission issued an order in October finding all benefits McElroy received for the period of more than five years had been overpaid. Additionally, his benefits were terminated due to a finding of fraud. McElroy pleaded guilty to a felony count of theft on Dec. 14 in a Franklin County courtroom and was ordered to pay $80,000 in restitution. The judge also sentenced McElroy to five years of community control and a suspended a six month prison sentence. William Hill became the subject of an investigation after a BWC claims service specialist suspected he may be working for his own company while receiving temporary total disability benefits. An investigation verified the Chesterland man was operating Hill’s Contracting Company for three years in direct conflict with his disability benefits. 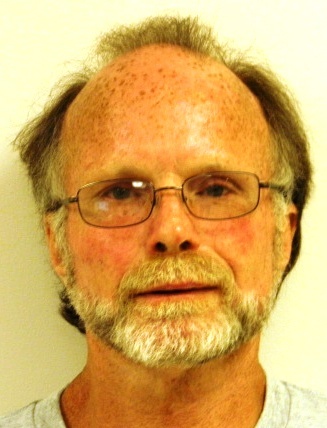 Hill pleaded guilty Dec. 6 to one felony count of workers’ compensation fraud in Franklin County Municipal Court. He was ordered to pay $131,919.43 in restitution and an additional $2,000 for investigative costs. He was also sentenced to five years of community control. As part of the agreement, Hill is ordered to pay $100 per month. If Hill does not comply with probation or make the required monthly payments, he will serve six months in prison. A Toledo (Lucas County) man who treated injured workers without a medical license must repay the Ohio Bureau of Workers’ Compensation (BWC) more than $100,000 as a result of his sentencing yesterday for workers’ compensation fraud. James E. Mann owned and operated Toledo Medical Evaluators, LLC, and performed disability exams and file reviews in both Ohio and federal workers’ compensation cases although he lost his license to practice medicine in two decades ago. Mann, who has not held a medical license since his conviction in 1991 on nine counts of illegal processing of drug documents, contracted with two licensed physicians to perform exams on injured workers. However, an investigation by the BWC Special Investigations Department showed Mann personally conducted exams and erroneously reported that one of the licensed physicians conducted the exam. Mann then submitted the fraudulent exam reports to the Ohio Industrial Commission. Mann pleaded no contest to a bill of information charging him with one felony count of Workers’ Compensation Fraud. Judge James Jensen of the Lucas County Court of Common Pleas found him guilty and ordered he pay $90,278.86 in restitution and $10,530.17 in investigative costs, as well as court costs and a supervision fee. Mann was also sentenced to five years of community control. He will serve 12 months in prison if he violates community control. Mann previously pleaded guilty in the United States District Court, Northern District of Ohio, to three counts of mail fraud. He was sentenced in that case on November 21 to one year of supervised release. Judge James Carr ordered Mann to pay $91,482.81 in restitution to the federal workers’ compensation program, in addition to a $100,000 fine and a $300 special assessment fee. Gary Metz was installing cable for Comteam, Inc.
A Sharonville (Hamilton County) man was sentenced in court last week after the Ohio Bureau of Workers’ Compensation (BWC) discovered he was working as a cable installer for his brother’s Milford company. Gary Metz must repay BWC $7,165 by Dec. 30 or risk jail time. BWC’s Special Investigations Department investigated Metz and found he was working as a cable technician for Comteam, Inc., owned by his brother. Metz was working full time for the company while receiving Living Maintenance and Non-Working Wage Loss benefits. Non-Working Wage Loss is payable to injured workers who are unable to find suitable employment, and Living Maintenance is paid to an injured worker while they are participating in a vocational rehabilitation plan. Metz pleaded guilty November 22 in the Franklin County Common Pleas court to one felony count of workers’ compensation fraud. He was ordered to pay restitution of $6,165 and investigative costs of $1,000. He was also sentenced to six months in Ohio Department of Rehabilitation and Correction, suspended if he pays restitution and court costs by December 30. The Bureau of Workers’ Compensation is comprised of 1,985 dedicated professionals providing exemplary workers’ compensation services from 15 customer service offices located in 16 facilities throughout the state. Some of these facilities also host employees of the Industrial Commission (IC) of Ohio, including the hearing officers who conduct all IC claim-related administrative hearings. Moreover, the site of our main headquarters – the William Green Building, 30 West Spring Street, in Columbus, Ohio – furnishes office space to other agencies, such as the Ohio Ethics Commission, Ohio Industrial Commission, Ohio Department of Alcohol and Drug Addiction Services, and Ohio Administrative Knowledge Systems. The William Green Building also hosts many large events throughout the year in its auditorium which seats 375 audience members. BWC facilities annually experience tens of thousands of visits from employees, customers and members of the general public. Moreover, from these BWC facilities, employees also annually experience hundreds of millions of direct customer service interactions. These include more than one hundred million hits to our e-commerce based Web site, www.ohiobwc.com; and hundreds of thousands of incoming and outgoing telephone calls, more than four million pieces of mail, and countless e-mails. Each employee, customer, and visitor deserves and receives our very best. Most essentially, all interactions must be safe and secure. Conduct joint investigations with local and state law enforcement officers. The BWC SID safety violations investigation unit (SVIU) received an anonymous voice mail message. The caller threatened to “blow up” the SVIU office. 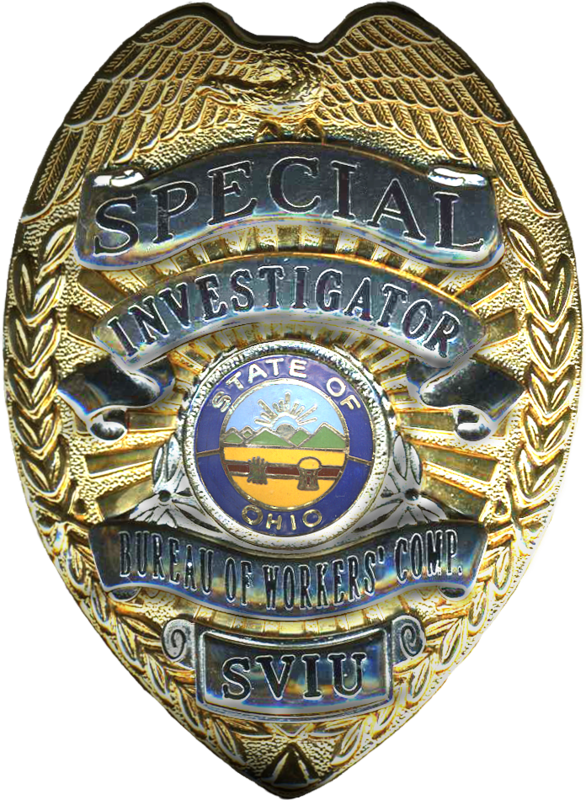 BWC Security worked with the SVIU, Ohio State Patrol, and other Special Investigations Department staff to identify the threatening caller as a management employee of an employer investigated by the SVIU. In the Franklin County Court of Common Pleas, the management employee was charged with two second-degree misdemeanor counts of telephone harassment and one fourth-degree misdemeanor count of disorderly conduct. The defendant pled guilty to one second-degree misdemeanor count of telephone harassment. The court sentenced the convicted subject to serve one year of community control and to pay $189 in court costs, a $100 fine and a $50 probation fee. This concludes our fraud awareness series. Be sure to read more about BWC fraud investigations in our SID FY 2011 Annual Report. Most employers are ever seeking to improve workplace safety. Their desire to reduce workplace accidents and illnesses is motivated by so much more than merely reducing the operational costs that result from unsafe workplaces. They desire to protect the health and welfare of each member of the organization. Unfortunately, other employers — perhaps motivated by greed, sloth or both — fail to foster and maintain fundamental workplace safety. In fact, these entities often ignore the best safety practices, even to the point of violating specific safety requirements established by regulation(s). This is why our BWC SID safety violations investigation unit (SVIU) is so essential. SVIU’s primary function is investigating alleged safety requirement violations that have resulted in a workplace injury, illness or death. Thus, the SID SVIU accomplishes its mission to provide impartial and comprehensive investigations regarding grieved industrial and construction deaths, injuries and/or illnesses for determination by Industrial Commission of Ohio staff hearing officers on alleged violations of Ohio’s specific safety requirements and regulations. To meet the ongoing demand for its services, the SVIU has dedicated staff state-wide, exclusively investigating alleged violations of specific safety regulations (VSSRs). Compensation via VSSR awards: If a worker is injured, contracts an illness or is killed on the job because of a violation of a specific safety requirement (VSSR) as outlined in the Ohio Administrative Code, the worker, surviving spouse or dependents may be eligible to receive an additional compensation award, ranging from 15 percent to 50 percent of the injured workers’ maximum allowable weekly compensation rate. Re-enact events that led up to a workplace injury or death. Employers, demonstrating good faith, often assist us in these re-enactments. The SVIU’s investigation concludes when the assigned investigator compiles his or her information in a comprehensive Report of Investigation. The SVIU sends the report to the Industrial Commission (IC) of Ohio and all parties to the claim. The IC then conducts a hearing to determine the eligibility of the worker or surviving dependents to receive a VSSR award. The SVIU Report of Investigation plays a critical role in the IC hearing. Since 1990, the unit has completed 8,562 investigations. Outcomes: The IC hearing culminates in the issuance of an administrative order, granting or denying the additional award. The hearing order may impose upon an employer a penalty, fine and also a requirement to correct specific safety regulation violations. On March 28, 2011 an employee died at a demolition site in Montgomery County. The injured worker was a member of a demolition team tasked with razing a vacant industrial facility. SVIU responded to the scene and obtained preliminary information. The SVIU investigation revealed the owner of the company had failed to secure coverage with the Ohio Bureau of Workers’ Compensation. Upon the death of the injured worker, the owner of the company fled from the United States. SVIU met with the injured worker’s widow and other family members. A BWC claim was filed on behalf of the decedent. SVIU worked with BWC to establish an employer policy and the claim was subsequently allowed and charged to the employer’s policy. Current BWC certificate of coverage is not posted and/or has been altered. Look for our next fraud awareness article that will discuss our BWC Security operation. Meanwhile, be sure to read more about SVIU investigations in our SVIU FY 2011 Annual Report. The scenario is all too common in the criminal justice system. By means of a grand jury indictment, a defendant is charged with a crime. Yet – although presumed innocent until proven guilty – the defendant fails to show up in court for a scheduled arraignment hearing. Without even entering a plea to the criminal charge, the defendant has fled. The court promptly issues a bench warrant for the defendant’s arrest. The defendant has become a fugitive from the law. Many fugitives go into hiding, apparently hoping the court will somehow forget about them. Some leave our state, or even our country, seemingly believing the best bet is to put distance between themselves and their crime. However, little do they understand that they can indeed run, but they certainly cannot hide. It was for this very reason that, back in 1999, SID assembled an elite team comprised of a fraud analyst and several special agents. This BWC Fugitive Task Force (FTF) – as it was soon to be known – immediately commenced coordinating action with law enforcement agencies to bring our BWC fugitives to justice. 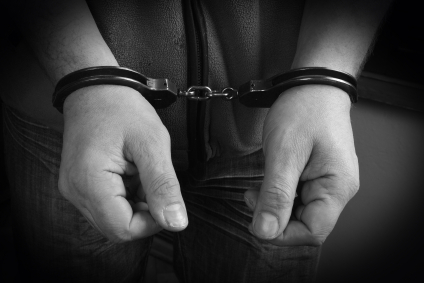 The FTF accomplishes its mission by identifying the location of each fugitive, guiding law enforcement to execute the fugitive’s arrest and, where needed, ensuring the fugitive’s extradition to the respective jurisdiction where s/he faces a criminal charge. Of course, the key action step is the first action step – namely, locating the fugitive. To do this, the FTF uses many sources of information, including the databases of other governmental and law enforcement agencies. Often FTF members conduct surveillance. Sometimes they execute undercover operations. Always, these investigative strategies are carefully planned and coordinated to secure otherwise hidden information. We received an allegation that a claimant was receiving lost time benefits for a falsified assault and that he routinely engaged in several, strenuous physical activities without any apparent physical restriction. Our investigation revealed the subject had furnished no fewer than 17 versions of how he had sustained his injuries in an attempted robbery reported to, and investigated by, local law enforcement. The evidence we secured included statements from multiple witnesses to whom the subject had admitted he had sustained no injury. Additionally, we secured a security guard’s statement that he observed the claimant put on back and leg braces and a sling in a parking lot prior to attending an Industrial Commission hearing. After viewing our surveillance video, a provider concluded the claimant’s “presentation was not true and it was a conscious and deliberate feigning of an illness or disability.” In fact, our investigation proved that while receiving benefits the claimant had continued to work as a self-employed auto mechanic. When indicted, the subject fled prosecution. However, our Fugitive Task Force located him in Las Vegas, Nevada and secured his extradition back to Ohio. The subject pled guilty to one fifth-degree felony count of workers’ compensation fraud. The court sentenced the subject to serve five years of probation. The court ordered the subject to pay BWC $33,635 in restitution. We received an allegation that a claimant owned and operated a business in Arizona while receiving lost time benefits from BWC. Our investigation revealed the subject owned and operated a home restoration business in Sierra Vista, Arizona. The evidence we secured included reports documenting the subject was found guilty in Arizona on three occasions of operating his business without a contractor’s license. Our evidence also included 149 checks written by customers to the subject. In all, we identified $419,357 in cash and checks the subject received for his active work as a contractor. The BWC SID Fugitive Task Force coordinated the subject’s arrest at work by the Cochise County (Arizona) Sheriff’s Department. The U.S. Marshalls Service extradited the subject back to the State of Ohio. The subject pled guilty to one fifth-degree felony count of workers’ compensation fraud. The court sentenced the subject to serve 12 months of incarceration (suspended) and five years of probation. The court ordered the subject to pay BWC $64,273 in restitution and $2,727 investigative costs. You may see the identities and photos of current BWC “Wanted Fugitives” on our SID Facebook page: ohiobwcfraud. Look for our next fraud awareness article that will discuss our Safety Violations Investigation Unit (SVIU). Meanwhile, be sure to read more about fraud investigations in our SID FY 2011 Annual Report. If you suspect anyone is committing workers’ compensation fraud, or if you suspect you know the location of a BWC fugitive, let us know. You may report it online at http://bit.ly/reportfraud or you may speak with a fraud hotline agent by calling 1-800-OHIOBWC.